Generally, any event where mingling is encouraged in a room full of strangers has the potential to be awkward. They often seem reminiscent of the scene teenage movies where the protagonist gets invited to the “cool” party, but eventually realizes they would have rather stayed home with their friends. Luckily, Wednesday night was nothing like that awkward movie moment. Cheap Thrills, a staple of the Montreal record store community, turned 40 and threw a celebratory bash at Casa del Popolo, inviting all of the store’s fans and supporters out to celebrate. Despite having three bands and two DJs, the event felt surprisingly intimate, as if it could have just as easily been in someone’s living room. That is, if the party went off without a hitch and three members of Arcade Fire happened to be at your house. Throughout the night, local acts Pigeon Phat, The Hidden Words and Mozart’s Sister played an energetic tribute to a record store that has been supporting local musicians for decades. It was a night of celebration for the first store, in fact, to sell used records in Montreal. Cheap Thrills has survived the rise and decline of vinyl, 8-tracks, cassette tapes and CDs. Though vinyl has been enjoying a significant resurgence as of late, Cheap Thrills has been around long enough to remember the time when vinyl was the only way to listen to music—literally. It’s a tale of modest origins. Cheap Thrills started as the byproduct of money from a car insurance claim, founded by Janet Dawidowicz in 1971. Though it was first located in an apartment on Bishop St., it moved to its current location in 1984 and has been a Montreal institution ever since. Cheap Thrills is located at 2044 Metcalfe St., next to Peel Metro. They not only have an impressive selection of new and used CDs and vinyl, but tickets to almost every event in the city, which will save you from those pesky Ticketmaster charges. 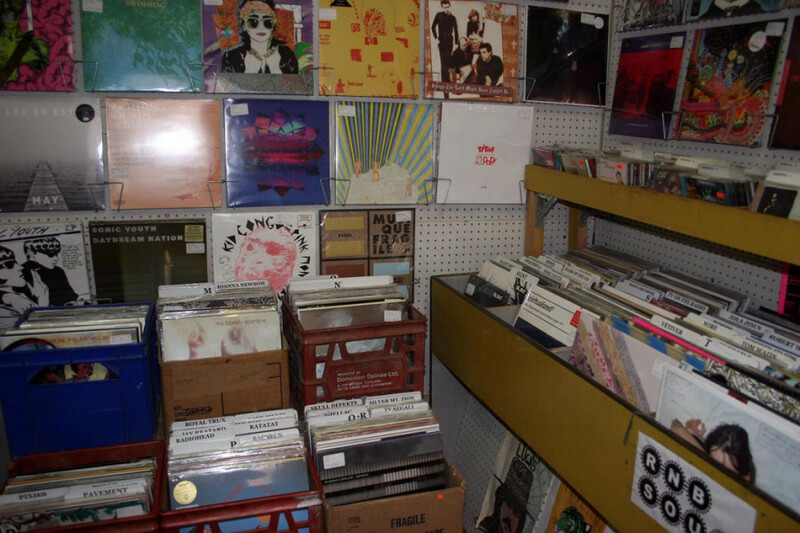 They’re open until 9:00 p.m. Thursdays and Fridays, perfect for an after-class vinyl hunt.